You are convinced that outsourcing to India can help you to experience massive savings in terms cost, time and speed to market. India, the world's outsourcing capital can give you access to skilled professionals for almost any service /product that you wish to outsource. Based on your decision to outsource to India, you have analyzed your business requirements, conducted an intensive vendor selection process in India and finalized on a list of prospective vendors. Now all you need to do is select the most suitable Indian vendor for your business. For that, you need to draft a Request for Proposal (RFP) or Request for Quotation (RFQ). You can review the answers sent by prospective vendors and finalize on the most suited vendor for your business. A request for proposal or request for quotation is integral in choosing the best vendor with the most advantages for your company. Contrary to popular belief, writing a RFP or an RFQ can be easy if you know the functions and objectives of the document. A request for proposal, also known as RFP or RFQ is a document that is issued by a company when it wishes to outsource a service / product to India. Several prospective vendors will then bid on the work, thereby providing you with the most competitive price. Request for Proposal: An RFP is a document that is written to the vendor for complex services / products where the service, quality or the final output will be different from each vendor that is answering the RFP. Request for Quotation: An RFQ is a document that is written to the vendor for simple services / products / commodities that are straightforward and where there is no differentiation between the responding service providers. In an RFQ the negotiation points can be packaging options, delivery schedules etc. Make a clear distinction between the things that you specifically need and the things that you want in the RFP or RFQ. Identify needs and requirements in an RFP with words like "will", "shall" or "must". Identify wants with words like "optional", "can" and "may"
What should be included in a RFP or RFQ? Once you have drafted your RFP or RFQ, you can send two copies each to the prospective vendors that you have selected from the vendor selection process. Include your contact information to make it easy for vendors to contact you. Outsourcing to India is the best decision you can make for your business. Make a decision to outsource today. 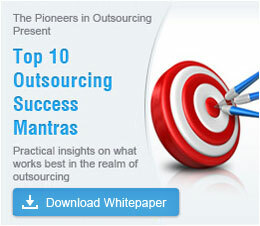 Get in touch with Outsource2india. Variable, fixed, performance-based or cost plus profit. Find out which pricing model suits your company\'s needs. Our recruitment consulting solutions help you get the right candidates.